We cordially welcome you to the (company name) family. We are confident that we can work together and ensure that our products suit your needs. Your feedback is important to us. We encourage you to send us a feedback letter with your inquiries and suggestions at any time. We assure you the best of services through the years of our valued relationship. I enjoy your product and I’m writing this feedback letter to suggest a few things that I think will improve the product. Personally, I think that the color on the top part should be changed. I also realized that one of the buttons does not work as it should. I would appreciate it if these could be worked on. As a customer, if you received a feedback letter like the one above, chances are that the templated letter will drive you away before you reach end. As a company, receiving a feedback letter from a customer like the one above simply leads to more questions: What color does the customer think it should be changed to? What exactly do they mean by “top part?” Which button does not work and what’s wrong with it? How many customers noticed this? With feedback letters, it can take awhile to get clear answers from the customer. 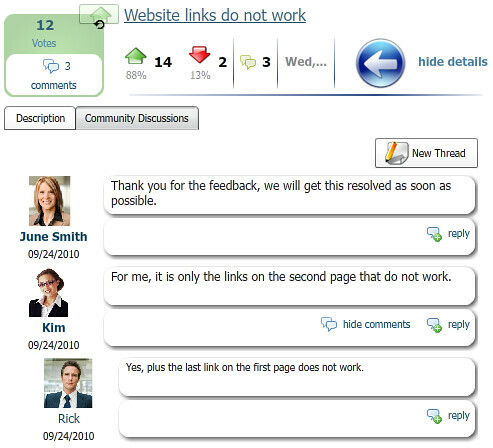 solves this problem by allowing you to invite customers to send feedback through a customer portal. No more writing boring feedback letters! Furthermore, you can immediately start a one-on-one conversation with the customer to clarify any details, allow the customer to track the status of their feedback and publish the feedback for your customer community to vote on. Save time from writing and deciphering feedback letters by asking your customers for feedback through OneDesk’s customer portal. More information on managing feedback with can be found here.